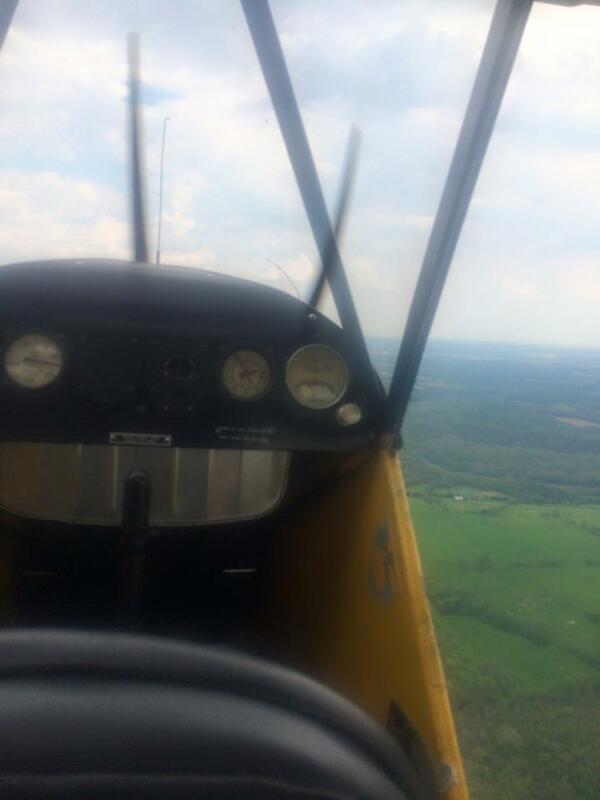 Even though my CFI awarded me a tailwheel endorsement the other day, due to the winds, I didn’t solo the Cub. I set up one more lesson to get checked out in the Cub so I could rent it. I was so happy when the day turned out to have clear skies and calm winds, exactly what I needed! I made my way out to the airport, excited and nervous about flying solo. I realized I haven’t flown solo since before I got my PPL. Only once afterwards had I been the only pilot in the aircraft. I knew though that my CFI wouldn’t get out unless he felt I was okay to go. We did a few landings. I wasn’t quite pulling back hard enough on the stick on the roll out. We worked on correcting that before I soloed. After I did one more landing, my CFI asked if I was okay if he got out. I said “okay!” and I dropped him off before heading off to solo. He said have fun and just put it back in the hangar once I was done. I have a confession. Every time I’ve soloed up until now, it’s to fit a requirement. I did my solo practice time, I did my solo cross countries, and that was it. I didn’t enjoy soloing. Yes, I enjoyed knowing I can do it all by myself, but I didn’t want to seek out opportunities to fly solo. This was different. I didn’t want to stop soloing! My first three landings were pretty good. It felt great to have my instructor out of the plane so it could climb faster and I didn’t have to go larger patterns to get to pattern altitude. I was feel great and having so much fun. I knew I had to stop soon since I worked later that night. One more landing I told myself! There was someone else in the pattern on downwind it looked like. This Cub doesn’t have any electrical system, so no way of talking to them. I rushed a decided to take off before them. Don’t rush in an airplane! I knew that before, and this just reinforced the lesson. I taxied out onto the runway and pushed the throttle forward before I was lined up straight. I got control of the aircraft shortly before coming to the edge of the runway. Whew, okay, I’ll never do that again. Of course, that threw me off, and my landing was the worst out of all four. It was more of a wheels landing with a bounce than a nice three point landing. Well, that’s what I get for pushing it! I know I’ll go and solo the Cub again for fun since I truly enjoyed soloing for the first time. Now back to the Citabria for aerobatics lessons! I couldn’t be more excited! Sounds fun! I just started flying tailwheel airplanes again after a long layoff, so I kinda know what you were feeling. You did great. Remember to keep it fun. Keep posting really enjoy your blog. Take care. Stay safe. Thanks, Dan! 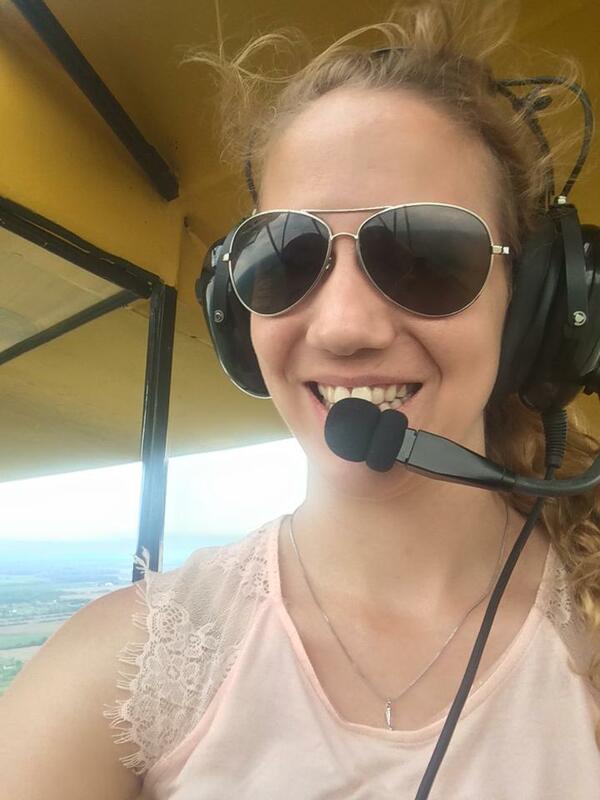 I love flying a tailwheel, makes me not really want to go back to a nosewheel!